HomeTips and AdviceDo You Need All-Wheel Drive? As the winter season begins to roll around, consumers are often bombarded with advertising showing them how a car with all-wheel drive will save them from winter’s icy dangers. Given the fact that accident rates on the road are significantly higher when heavy snow begins to fall, it’s no surprise that more and more consumers are buying into the marketing of automakers and choosing all-wheel drive. The question is: Do you really need all-wheel drive? The fact is that all-wheel drive may have some benefits over front-wheel drive in snowy/icy conditions, but it is far from a guaranteed safety net. All-wheel drive cars are able to accelerate off the line more effectively than front-wheel drive cars on a slippery surface, however, all-wheel drive has absolutely no added benefit whatsoever when it comes to cornering and braking on a slippery surface. Cornering and braking ability on slick roads are determined by tire grip, which means that having winter tires is far more important than having all-wheel drive for safe winter driving. Professional testing consistently show that cars equipped with winters tires are able to corner and stop far more effectively on slippery roads than cars with all-season tires. Bottom line: Winter tires provide the best assurance for going, stopping, and cornering, no matter what type of car you buy. Buying winter tires for a front-wheel drive car will also cost far less than the high premium you’ll pay for all-wheel drive. Automakers often charge at least a $2,000-3,000 premium for the all-wheel drive option. For example, a 2018 Mazda CX-3 with front-wheel drive has a base MSRP of $20,695, whereas, the all-wheel drive model starts are $22,695. All-wheel drive cars also consume more fuel than their front-wheel drive equivalents. Where the front-wheel drive CX-3 is rated at 8.2/6.9L/100km for city/highway fuel economy, the all-wheel drive model is rated at 8.8/7.5L/100km. Finally, all-wheel drive cars have higher long-term maintenance and repairs costs than front-wheel drive cars, due to the additional all-wheel drive components. Although all-wheel drive provides some benefits in less than ideal driving conditions, the reality is that it serves as little more than a psychological safety blanket for most drivers. 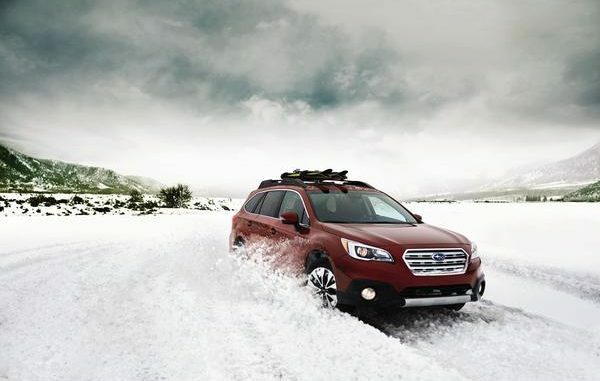 The best value for your money is to buy a front-wheel drive car with a set of winter tires for winter driving. It is important to understand that all-wheel drive is not a substitute for winter tires. It is highly recommended that you purchase winter tires no matter what type of car you buy.